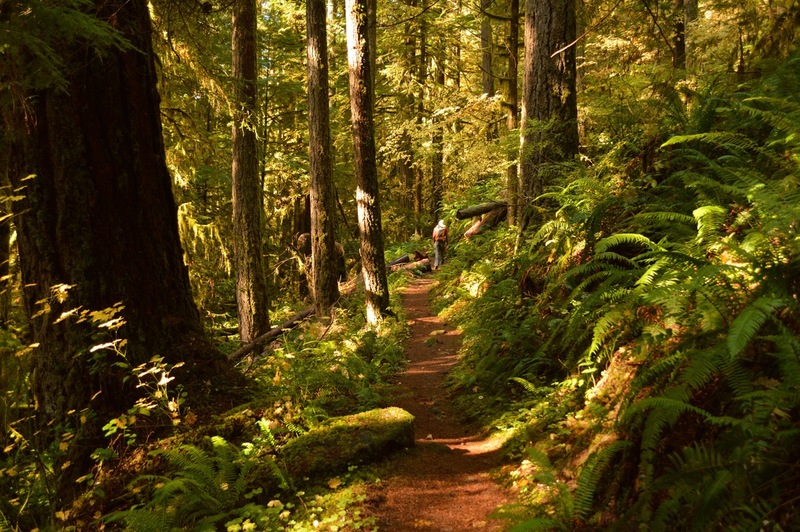 Brice Creek trail is a beautiful easy to moderate trail that follows the creek for a total of 5.5 miles. If you want to see the whole trail but only hike one way you could take two cars and park one at the lower parking lot and one at Champion Creek. 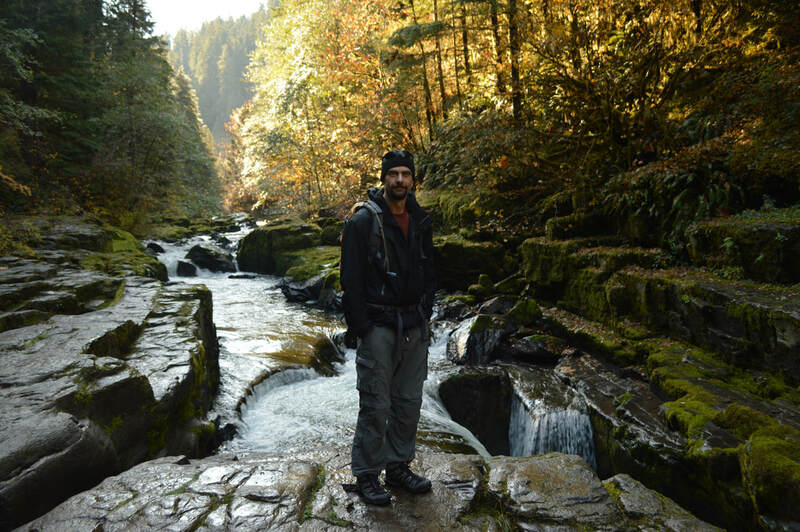 You can also camp in the area and break this hike up into two days by hiking to Lund Park and back to the parking lot, making it an 8.3 mile hike, and the second day hiking the Trestle Creek Falls Loop which will complete the Brice Creek Trail. After 1.75 miles you will see flat rocks in the river that you can go out onto when the water is low enough. There is a lovely little 8 foot waterfall here which plunges into one of the best swimming holes. 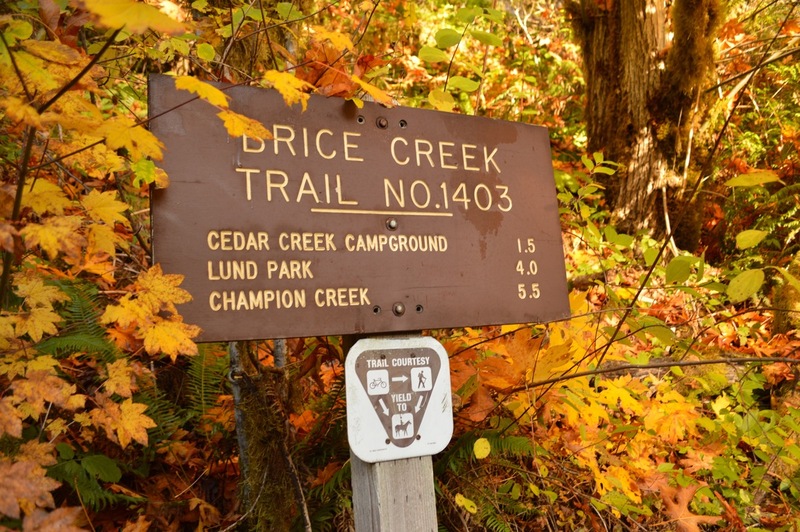 In the summer Brice Creek is extremely popular for campers who are enjoying the cool forest and day trippers who come out to swim in the creek. 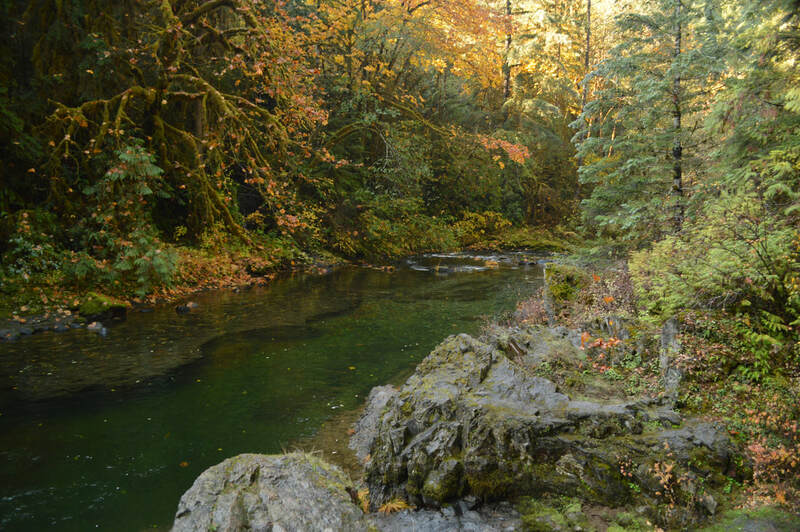 However in the fall and winter Brice Creek Trail is rarely visited even on weekends and becomes a haven for those seeking a beautiful hike not too far from Eugene. This trail is mountain bike friendly, so you might see some bikers riding past. A few miles past the waterfall the trail climbs a bit with a great view of the trees and creek from the top. Then the trail traverses back down to a very beautiful wooden bridge that crosses the creek over to Lund Park Campground. Lund Park was named after Alex Lundgren and Tom Parker who owned an inn which stood at that spot back in the 19th century when the Bohemia Mines were operational. This is a great campground with 10 spots, 2 vault toilets and garbage. Note, there is no potable water at the campground so you must bring a water filter or bring your own water when camping. 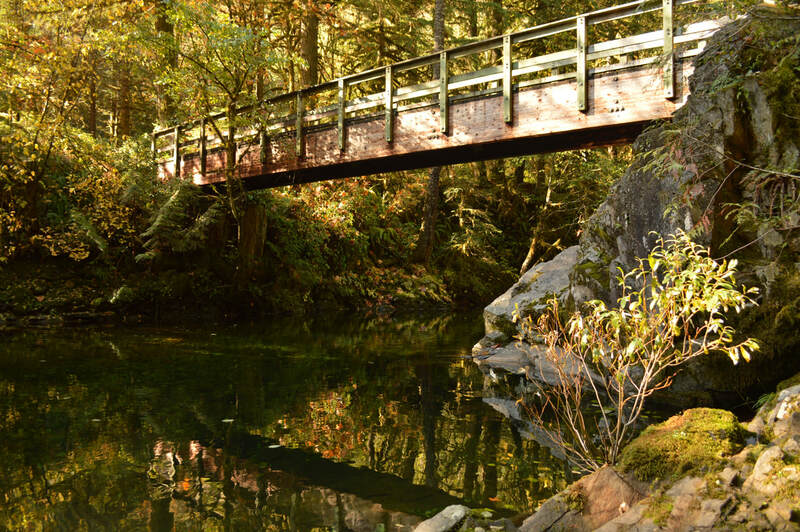 Once you have checked out Lund Park Campground and used the restroom, you will cross the bridge again to get back to Brice Creek Trail. Here you can decide if you want to continue the 1.4 miles through the woods to the end of the trail and then turn around making it a total of 11 miles. 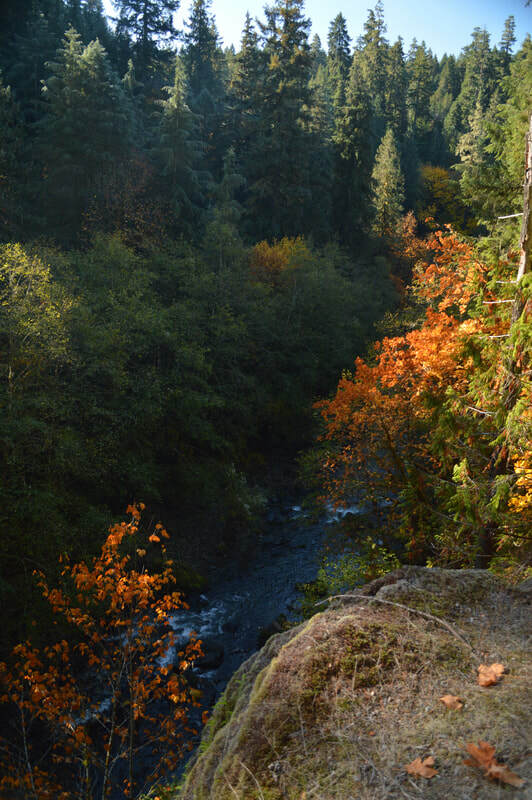 Or if you’re camping in the area you can break this up into two hikes and turn around here making it 8.3 miles roundtrip and you can do the rest of the Brice Creek Trail the next day when you hike Trestle Creek Falls Loop, a lovely 3.75 mile loop featuring two amazing waterfalls. Overall, this is a very beautiful and easy trail. There is only one spot where there is some exposure on the trail, however it is very minimal and the terrain is not loose or rocky. Because there are three access points to the trail you can break up this lengthy hike and make it the perfect length for the whole family. 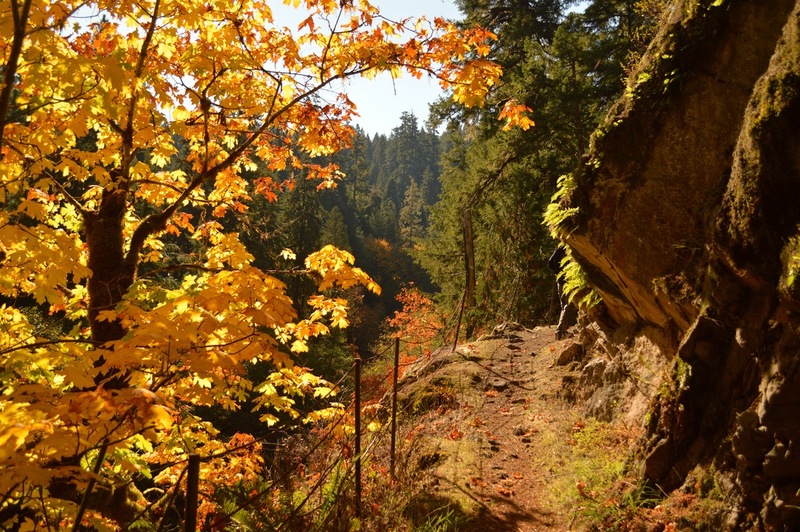 Whether you’re checking out Brice Creek in the spring, summer, fall or winter, you are sure to enjoy this trail! 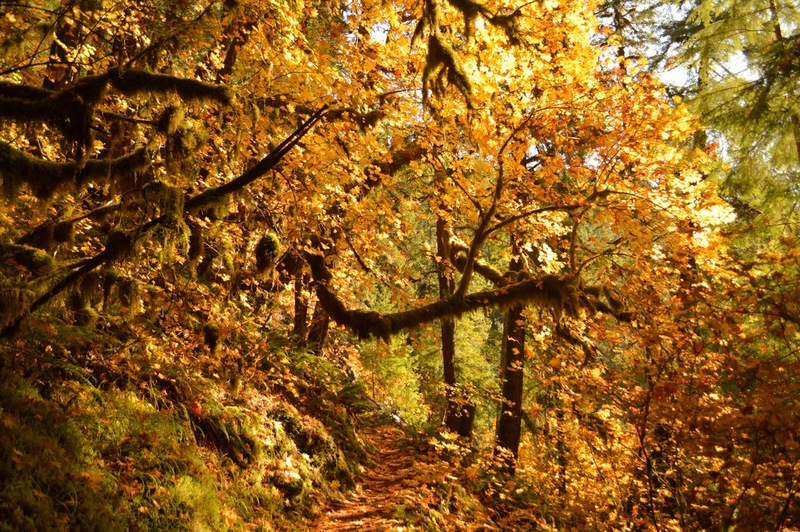 (Best time to go is October when the fall foliage is popping. This is also a great area to swim in July and August). Directions: From Eugene drive Interstate 5 south to Cottage Grove. Take exit 174 and follow signs to Dorena Lake. Continue on the main paved road NF-22 through the towns of Culp Creek and Disston (these communities are so tiny you don't even realize you are driving through a town) a total of 21.7 miles from the freeway. About a mile past the Umpqua National Forest entrance sign, look for a trail sign on the left marking the lower Brice Creek trailhead and park in the parking lot on your right. (Total of 43.4 miles). To get a more in-depth and personal view of this hike, watch the YouTube video.